The Beauty Inside has probably the most original premise I've ever seen a movie take on, which is why I decided to give it a shot. While there's no doubt that it's well-produced and acted, it ultimately fails to deliver the heft of emotion promised, and winds up feeling more like a montage of pretty scenes rather than a cohesive story. I suppose that's almost the inevitable result of combining a story about a body-changing main character with a director who's only worked on commercials - yes, it's prettily shot and perfect for screencaps, but there's little density of story and the moments remain no more than fleeting and superficial. The story revolves around a 30-year-old male lead named Woo Jin who has a genetic condition where he started body-shifting from the age of 18. He wakes up in a different person's body every morning - male, female, young, old, all races and cultures. Interestingly, he even takes on that body's cultural background, and for instance is only able to speak their language for the whole day. Luckily he runs his own business as a furniture designer, so no one needs to know what he looks like. True to K-movie form, he falls in love with a woman, Yi Soo, played by Han Hyo Joo, who works at a furniture store where he delivers his products. He secretly spies on her for what must be months before finally deciding to ask her out on a day when he wakes up in an attractive body - e.g., Park Seo Joon. From there, he effectively builds a relationship with her, and the rest of the story is a bit of an angsty mess revolving around how difficult it is for Yi Soo to come to terms with his body-shifting. While there are sweet moments in the film, as a whole it just didn't really connect with me. For one, I feel like we never go very deep into Woo Jin's character and consequently never really feel invested in his fate. Yes, I suppose that could be blamed on the fact that we don't have a single actor playing him, but it also seemed like a production choice to make his scenes and his character as a whole feel entirely too-fast and emotionally shallow - we never delve into anything beyond his love for Yi Soo through the whole film. I find it a massive waste of a great premise to have this entire person's existence revolve only around a love line. 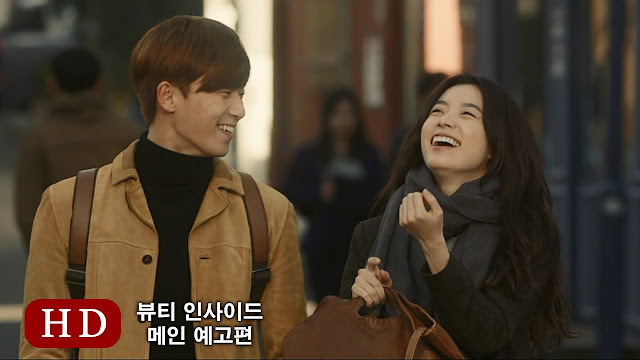 Additionally, aside from Park Seo Joon's performance as a three-day sleepless Woo Jin, everyone else's Woo Jin felt as pointless and blank as a cameo, inserted merely for the wow factor of having another celebrity name (or a different race actor) to shove in rather than for any true character development. In fact, about midway through, the movie decides to shift from Woo Jin's perspective completely over to Yi Soo's. She becomes our focal point, which would have been fine if there had been some good content backing it up. But what follows is an empty, almost scenically portrayed descent into depression as Yi Soo has dramatic fit over Woo Jin's constant outer changes. It was honestly just not very pleasant to watch, and rather than feeling sympathy for Yi Soo I felt frustration. Yes, I get that having a body-shifting boyfriend is hard to explain, but at the end of the day you're the one who chose this relationship, and at least he's (seemingly) a great person who treats you well. Maybe you should do something productive and talk to him about your issues rather than secretly overdosing on pills prescribed by some psychiatrist? It just felt like a weakness in writing, as if they couldn't think up of a better central conflict. 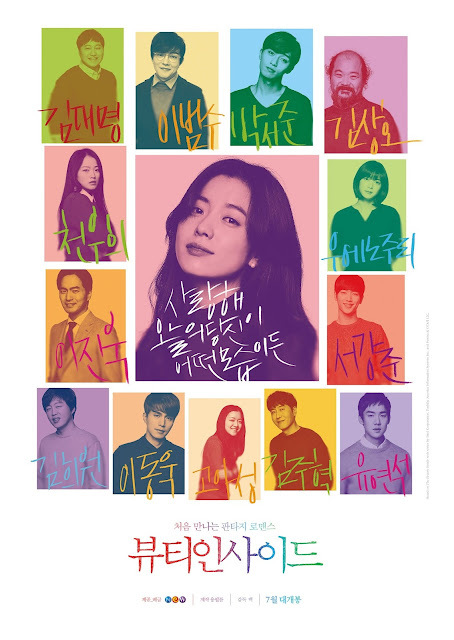 The one undeniable plus to this movie is Han Hyo Joo, who makes an absolutely stunning Yi Soo. Everything from her effortlessly chic hair, her soft way of speaking, her style - it's all so gorgeous that it makes complete sense that Woo Jin would fall for and risk his secret for her. While I wound up not liking Yi Soo much for her self-absorbed behavior, I respect Han's sensitive performance, which really was the glue to the movie. To have to generate chemistry and intimacy with so many different actors is truly no easy feat, and she did so with complete grace and seeming ease. Additionally, the movie did have some poignant moments in its examination of how much is love truly independent of one's exterior, and thus how feasible it is to love the person inside. While some moments made me highly doubt this premise (for instance, Woo Jin feeling the need to wake up in a handsome man's body before moving forward with any big moment such as a proposal to Yi Soo) the one scene that was truly a standout was that between Han and the impeccable Ueno Juri. Those two actresses managed to conjure up a chemistry in that tender interaction that defied gender, culture, even language, as Yi Soo first comes to terms with Woo Jin's being. While as a whole I find the movie plodding and mediocre in its delivery and writing, I give it kudos for presenting and executing on such an original premise. I'm sure fans of the Korean entertainment scene will enjoy the multitude of cameos that comprise Woo Jin's role. And even I can't deny that the ending sequence of the many Woo Jin's walking towards Yi Soo on the bridge (including kid Woo Jin haha) was just stellar. I'm thinking that this will be the next Korean movie that China or some other country goes and remakes. I don't think it's worth spending two hours on unless you're a massive Han Hyo Joo or Kmovie fan, but it is cute and inoffensive enough.